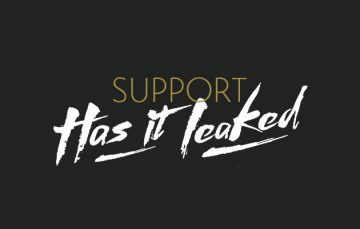 Support Has it Leaked | Has it leaked? As the IFPI (International Federation of the Phonographic Industry) issued DMCA takedowns and suspending our social accounts this month, Has it Leaked ad income has significantly taken a toll. This comes at a bad time, when ad revenue is already limited and my attempts to fix this hasn’t worked. It doesn’t matter if we’re not breaking any laws, DMCA takedowns can be issued anyway and fighting them is time consuming and involves a lot of work. I’ve always avoided donations before, but now is the time to ask for your support. If Has it leaked is something you enjoy, consider a donation to help us fight this and more importantly, have the funds to improve the site going forward. What does it cost to run the site? To keep the site from crashing when popular albums are leaked or released, we need a lot of horsepower. And to be this flexible we are using one of the most expensive dedicated servers there is. We are hosted on a Dual Xeon E5-2620v3 (12×2.4GHz 15MB) from KnownHost. Last year we had a lot of problems due to script-kiddies trying to make the site go offline. So we also need help with hackers and DDoS-attacks and have included a proper firewall and support by Sucuri. We also pay for Amazon SES to keep all email leak notifications from ending up in your trash-folder and Hotsuite to fetch leak alerts and post them to social accounts. But the most crucial part of the site is maintaining its database and code. Something crashes, stops working, becomes incompatible – It happens. And while I love working with the site, I need help and no one wants to do bug fixing for free 24/7. And last but not least, new features to the site, something which has been difficult to cover as of late. How can copyright holders take down the site when you don’t share any pirated material? They can’t. But anyone can send a DMCA and have content temporarily removed. And sending counter notifications take time. You can read more about how copyright holders use DMCA as a tool to remove content here. The article uses Pewdiepie as an example, and even if you don’t like or agree with his opinion, it’s a good example where digital copyright laws are somewhat flawed. Hey bro we are with you i am big fan of your site and follow from last 3 years. 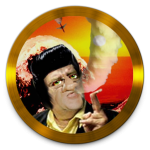 sure i donate money to hasitleaked. Donating as soon as I get some more $$$.